The 2019 Enchanted Travel Destination Wedding Seminar is Tuesday, February 12th! We still have spots open, so RSVP today for your chance to learn everything there is to know about planning a destination wedding with Enchanted Travel. In addition to snacks, drinks, and helpful information, you will be entered into our drawing to win some amazing prizes. Our grand prize this year is $3,000 towards a destination wedding at UNICO 20°87° Hotel Riviera Maya! Our entire staff of destination wedding experts will be there, as well as industry experts from our favorite resorts and tour companies, so come with any questions you might have for them. If you’re not sure where to start, this is the event for you! If you’ve been looking at options for your wedding, we can help you find the right fit for you and your fiance. Read on for all of the details on this exciting event. The entire staff at Enchanted Travel will be hosting this event and sharing their expertise on their favorite destinations. 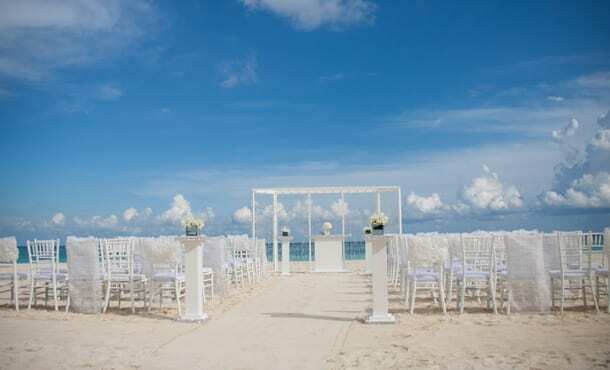 Our Mexico and Caribbean specialists will show you the best resorts for destination weddings, plus go over the logistics of planning a wedding at an all-inclusive property or other tropical location. In addition, speak to our Hawaii specialists who can plan the perfect nuptials for you in Maui or Kauai (or any island!). Our Disney specialist will be there talking everything Disney honeymoons, and our Europe specialists can help you plan the perfect European honeymoon. In addition to our dedicated staff, we have invited several of our partners from the best resort brands. Our Hard Rock rep, Korie, will be there to show you everything that is new with Hard Rock Hotels & Resorts. 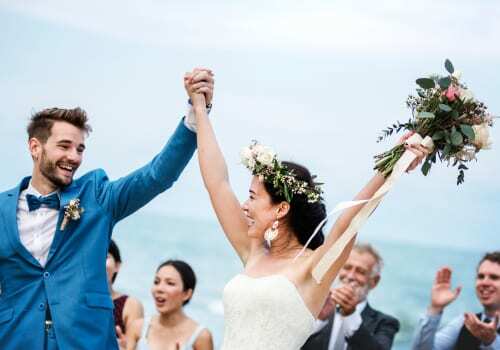 We will also have Matt from Playa Resorts, to show you destination wedding options at resorts like Hyatt Ziva and Hyatt Zilara, Sanctuary Cap Cana, and more. In addition, our Palace sales rep Ginny will be in attendance for those interested in a destination wedding or honeymoon at Le Blanc Spa Resorts or their many Palace properties. Finally, Ian from Sandals Resorts will be there to show you everything new with Sandals and Beaches properties. We will also have our sales rep from Delta Vacations in attendance. After learning all there is to know about booking a destination wedding with Enchanted Travel, you will have the chance to win a ton of amazing prizes from our partners. Our grand prize this year is $3,000 towards a destination wedding at UNICO 20°87° Hotel Riviera Maya, pictured above. UNICO 20°87° is a unique property in the Riviera Maya that is the ideal setting for a destination wedding. The adults-only resort offers a truly unique experience that incorporates the elements of Mexico that make it so special. They incorporate this uniqueness into everything from the food to the decor. In addition, they have a great destination wedding department that can help you customize your big day. You will also have the chance to win $500 towards flights from Delta Vacations. Delta Vacations offers a wide variety of destinations with impeccable service. We trust them with our destination wedding clients and partner with them on many destination weddings throughout the year. Our partners from Playa Resorts, Palace Resorts, and Sandals Resorts will all be offering prizes as well. You don’t want to miss out on this opportunity to learn more about the destination wedding process, talk with our specialists and industry experts from top brands, and win incredible prizes! This event starts at 5 PM on February 12th. During the first hour, enjoy snacks and drinks in a trade show set up. During this time, talk with our destination wedding and honeymoon specialists for Mexico, the Caribbean, Hawaii, Europe, and Disney. 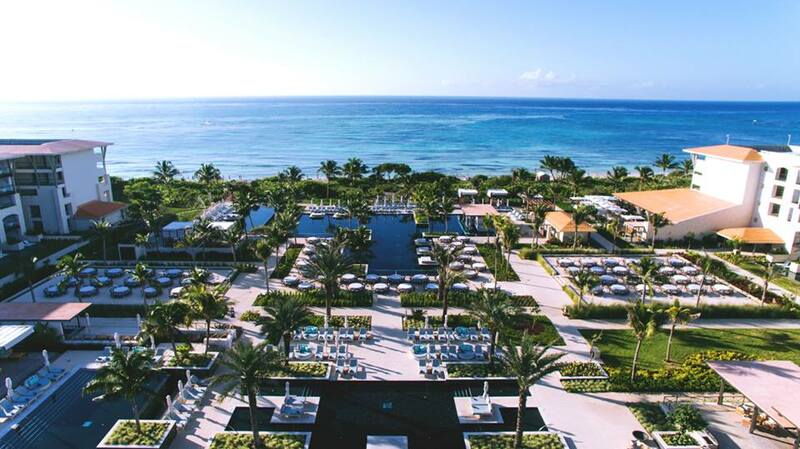 In addition, industry experts from some of our favorite resorts will be in attendance. They can answer any of your questions during this time. At 6 PM, our industry experts will each give a short presentation on their properties. After that, they will be raffling off prizes. You must be in attendance to win. RSVP here or call us at 402-390-9291.